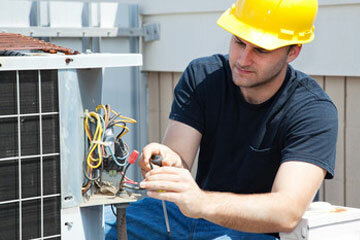 We offer no interest financing on qualifying HVAC system change-outs, with qualifying credit. Did your system limp through the summer? Are you worried about whether or not it will make it through the Winter? On Call offer financing on qualifying systems with approved credit. *Restrictions may apply. Contact us today for more details. Did you know that heating and air conditioning systems are the biggest users of energy in the home, up to 75% of the utility bill? 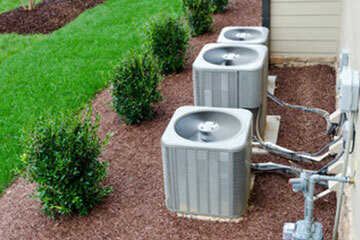 Dirty or poorly maintained HVAC equipment wastes energy costing you money. Our Safety and Maintenance Inspection can ensure your HVAC system is running at peak efficiency, saving you money on utility bills now and helping to increase the life of your investment for years to come. And when problems strike, The On Call Plumbing, Heating and Air team is devoted to providing outstanding service solutions and support for all of your heating and air conditioning system needs. We can service or repair all major brands and can also perform warranty repairs for your existing HVAC equipment even if we didn’t install it. Staffed by our expert team of quality minded professionals and experienced technicians, On Call Plumbing, Heating and Air can help save your family money by providing you with Energy Star and other high-efficiency replacement options for your home. We also proudly support and participate in SCE&G and Duke Energy’s High-Efficiency Rebate programs. Ask us about our free 2nd opinion and how we can save you money today. Here at On Call we are also committed to an environmentally friendly approach to servicing your heating and air system, and in addition to biodegradable cleaners and recycling many used components we also follow all current EPA guidelines for recovery and recycling refrigerants.